This is the second gathering of the group, and below are my notes on the 25 wines presented, one from each producer. 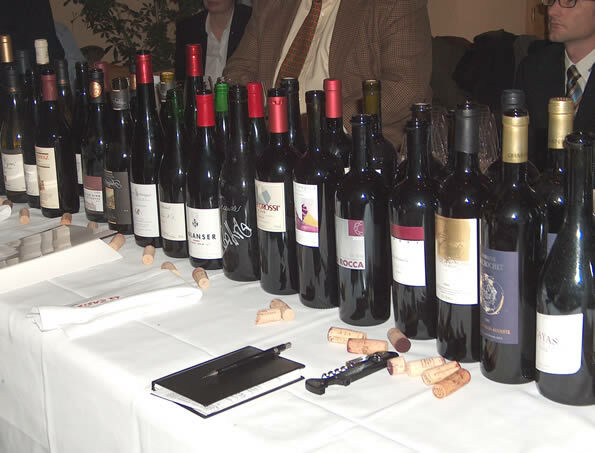 As you can see, many of these wines have a few years bottle age on them: one of the goals of the organization is to document the evolution of these wines. The quality (uniformly high) and diversity on show was refreshing. There are some very nice wines here in a diversity of styles. The following day we had the chance to taste the current releases, which I'll report on next in this series.